Martina Hagspiel is creative, brimming with life and sanguine about her research. In her talk, she tackles one of the most current taboos our society has to face – cancer. True to the motto “life is better when you smile”, she takes us on a journey and reveals that the little things in life make big things happen. Martina is a renown communicator, a systemic coach and has been in charge of the marketing and communication department at the ÖGV since October 2016. Besides, she initiated the project “Kurvenkratzer” with the main aim to inform people about the emotional hardships related to cancer and to overcome prejudices. Brief video-interviews of cancer patients, relatives and healthcare professionals proved conducive to minimizing stigmata. 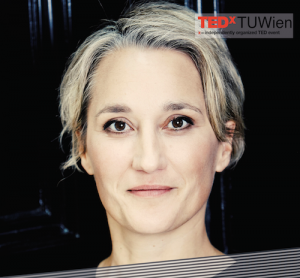 Martina Hagspiel is regarded as an influencer in this innovative field and was honored with the “My Aid Award” in Vienna in 2017.